I love this recipe because it uses fresh cranberries and it has a tartness that offers a nice hint of fresh orange zest. This is going to turn you into a holiday hero. Read more. This homemade pumpkin pie is easy to make and delicious thanks to a lick-the-can-good secret ingredient: sweetened condensed coconut milk. It has an ooey-gooey, honey-like texture that is delicious and you can use it in almost any recipe that calls for sweetened condensed milk. Licking the can of the condensed coconut milk is absolutely okay – just tell your family and friends the recipe demands it! 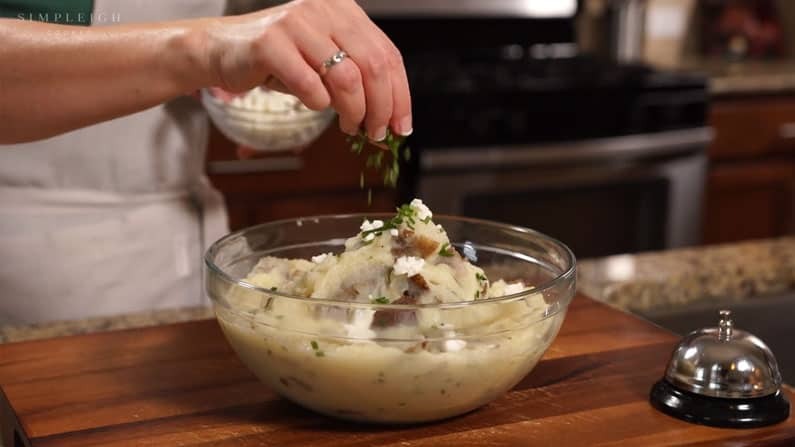 Everyone loves mashed potatoes, but this recipe is especially irresistible because it has goat cheese, which creates an unparalleled creaminess. Instead of cow’s milk or cream, I use almond milk. Trust me, you’ll love it.